Smoked Sausage Jambalaya and Le Bus Cornbread | Red Wine, White Wine, Fine Food Too! Set oven to 350. Grease 9X5 loaf pan and dust with cornmeal. Mix first 6 ingredients. Whisk eggs, oil, milk, and buttermilk in medium bowl. 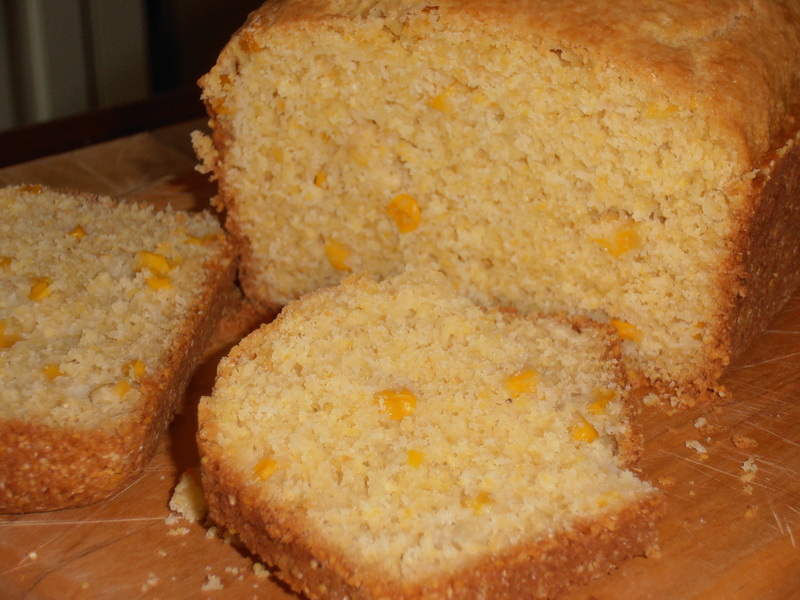 Add egg mixture and corn to dry ingredients and stir until combined. Pour batter into prepared pan. Bake 15 minutes, then reduce temperature to 325 and continue until done. (About 45 minutes to an hour. Toothpick should come out clean and it should have a good solid “thump”). Cool in pan for 30 minutes. 1. Cook sausage in oil in a wide 6-8 qt. heavy pot over medium heat, stirring occasionally, until golden brown, about 5 minutes. Transfer to a bowl with a slotted spoon. 2. Cook peppers, celery, onions, scallions, garlic, and 1/2 Tsp. salt in fat remaining in pot, stirring occasionally, until golden brown, 10-12 minutes. Stir in rice, sausage, tomatoes with their juice, water, 1 Tsp. salt, and 1/2 Tsp. pepper and bring to a rolling boil. 3. Reduce heat and cook at a bare simmer, covered tightly with a lid, until rice is tender and water is absorbed, about 25 minutes. 4. Remove from heat and let stand, covered, 10 minutes. Fluff rice with fork. Wonderful! This reminds me of my years living in Louisiana. Great post! Thank you! 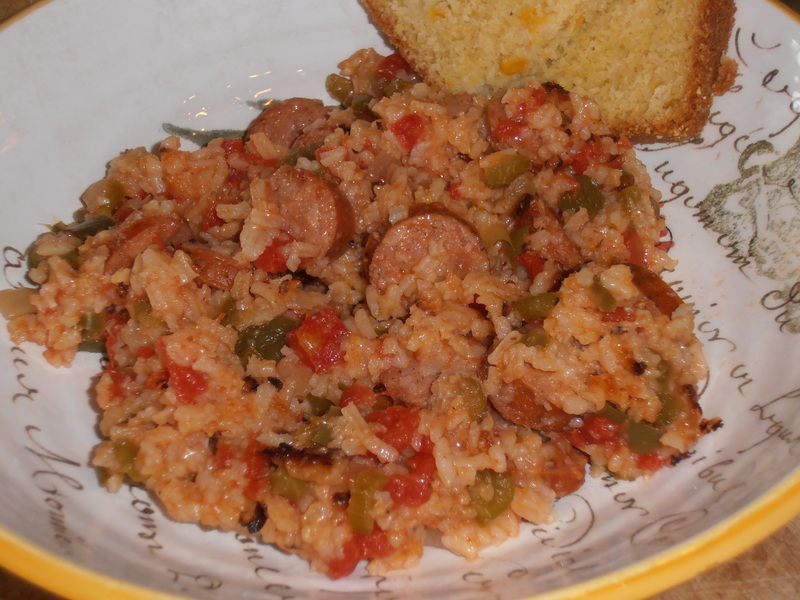 ….and yes, this is a perfect Lousiana dish. I think I’m going to spend some time learning more about the food of that area. Spicy, exotic, laid-back, and comforting all at the same time. I am SO bummed that I missed this. I had a chance and I blew it. This combo was “to die for”! On the third night we crisped some tortillas and put the jambalaya on top with a spoonful of sour cream!